The Houthi have suffered years of brutal military repression in Yemen. Living for decades in existing in relative obscurity within their northern territory, few outside the region had ever heard their name, let alone knew they possessed the political ambition and military prowess to one day seize power in Yemen. The Houthi, who prefer to call themselves Ansar Allah, or Partisans of God, hail from the Zaydi branch of Shia Islam, a sect that exists almost entirely in Yemen and make up about 35 percent of its population. Four months ago, Houthi militants descended for their northern stronghold and began their march south into the capital, Sana’a. The Houthi captured military camps and raided armories along the way – stockpiling arms and heavy weapons. Throughout the fall and winter, Houthi militants staged demonstrations and engaged in sporadic gun battles – easily dispatching tribal rivals – in and around Sana’a. Government forces offered little to no resistance to the descending Houthi militiamen. On Jan. 19, the Houthis laid siege to the presidential office and private residence. Yemen’s President Abed Rabbo Mansour Hadi attempted to negotiate a political settlement with the Houthis and tried to meet their demands for a more prominent role in Yemen’s new government. The Houthi political leadership presented Hadi with a power sharing agreement that would allow him to stay in power, but arrangement essentially put the Houthi in control of the entire government – Hadi refused to acquiesce. Having reached a political impasse with Houthi demands for power, Hadi and his Prime Minister Khaled Bahah resigned from office. The prologue to this escalating conflict began in November 2011, following massive demonstrations sparked by the Arab Spring uprising. The Houthis played an integral role in the uprising and held a prominent position in the Gulf Cooperation Council initiative, which negotiated the removal of longtime dictator, Ali Abdullah Saleh. However, elements of Saleh’s General Congress Party and the former opposition bloc, the Joint Meeting Parties, were given seats in transitional government. In September 2013, the National Dialogue Conference (NDC), an initiative spearhead by the United Nations designed to create the framework for Yemen’s new government. The process was intended to last only a few weeks, but instead went on for five months. Throughout the process, sporadic battles broke out between the Houthi and Salafi rivals that allied with major tribal factions. Additionally, a number of Houthi representatives in the NDC were assassinated, which eventually, along with other grievances – namely the failure to allocate an equitable distribution of power – precipitated their vehement opposition and withdrawal of support for the NDC government framework. The marginalization of the Houthis, as well as the Southern Separatist Movement, during the transition of power, only served to further alienate and divide the country, fomenting anger and resentment toward the transitional government, which the Houthis’ judge to be illegitimate vestiges of the Saleh regime. Over the next several years, the Houthis galvanized popular support, becoming major power brokers in Yemen. As the poorest country in the Arab world, the Houthis were able to capitalize on widespread discontent and a general sense of anger toward a corrupt ruling elite unable to solve the countries’ myriad of economic, social, and political challenges. The Houthis’ message struck a chord with disenfranchised groups beyond its traditional power base in the north. The struggle for dominance between rival factions creates unlikely alliances in Yemen. The Houthi suffered years of brutal repression at the hands of the Saleh regime, however, now, reports have surfaced that Saleh was behind the Houthis campaign to capture the capital. “Alliances (in Yemen) depend on the relative balance of power between actors and, as this balence shifted, almost all of these main groups have, however briefly at times, concurrently shifted from open aggression to alliances of convenience,” writes Silvana Toska in the Washington Post. The internal power dynamic in Yemen has never been a purely binary conflict between Sunni and Shiite, that is, until the emergence of AQAP who is perpetuating that narrative to advance their own strategic interests. Whether by accident or design, the resignation of the Hadi government makes the Houthis de facto rulers of Yemen, but their control over country is not absolute. Unfortunately, for them, this brazen seizure of power will not go unanswered. The Houthis have stirred up a hornet’s nest of political, regional, and sectarian tensions in Yemen. In recent years, groups like al Qaeda in the Arabian Peninsula (AQAP) have been able to occupy large swaths of lawless territory in Yemen. AQAP’s appeal among the many disenfranchised Sunni in Yemen has created a fertile nesting ground for their radical ideology, and has allowed them to set up a terrorist safe haven that has become the epicenter for the export of al-Qaeda terrorist operations across the globe. Most recently AQAP claimed responsibility for the attack on Charlie Hebdo in Paris, which killed 10 civilians and left two police officers dead. AQAP are using the Houthis insurgency and its takeover of Sana’a as a rallying cry for Sunnis to take up arms and combat Shiite dominance in Yemen. AQAP is painting the struggle for power in Yemen as a new battlefront in the war against Shiite influence – this inflammatory rhetoric is stoking the fires of sectarian tension. The inevitable outbreak of conflict between rival factions in Yemen will take pressure off AQAP and strengthen their position. Recruits and zealous adherents will flock to their side and take up the fight against the encroachment of Shiite influence in the Arabian Peninsula. Since coming to power in Yemen, former president Hadi has been a key ally in U.S. counterterrorism efforts. Since 2011, the U.S. has conducted approximately 100 drone strikes and 13 conventional airstrikes against AQAP in southern Yemen – the most notably of which was the September 2011 U.S. drone strike that killed American-born cleric and al-Qaeda spokesmen to the west, Anwar al-Awlaki. Hadi’s resignation leaves many wondering the implications for U.S. counterterrorism operations in the Arabian Peninsula. The U.S. answered that question in dramatic fashion on Monday, after a drone strike killed two suspected al-Qaeda militants. Col. Steve Warren, a pentagon spokesman, was quoted by the Wall Street Journal, saying, “Our commitment to hunt and kill AQAP where they are is unchanged.” The U.S. drone strike followed an announcement from the State Department that the U.S. is closing its embassy in Sana’a amid fears of escalating violence in the capital. The CIA drone strike program in Yemen operates in the murky waters of U.S. clandestine operations; administration officials rarely mention the drone strikes and the U.S. refuses to comment on the specifics of these operations when they occur. It’s safe to say that, although Yemen is beginning its fragmentation and descent into civil war, U.S. drone strikes, as well as intelligence, surveillance and reconnaissance operations will continue unabated. 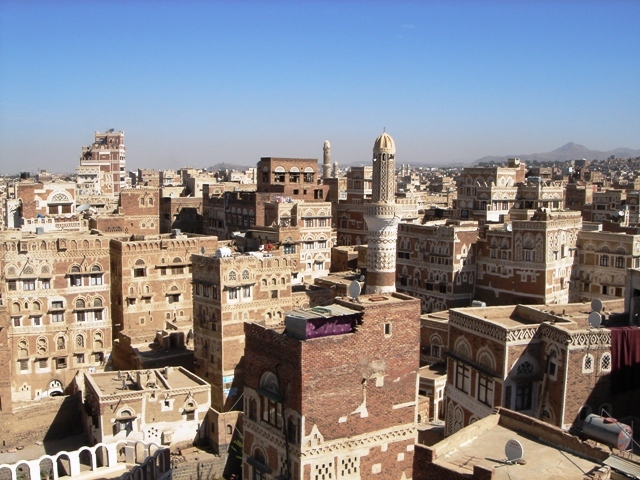 While speaking at an event hosted by the Atlantic Council, a Washington-based think tank, Under Secretary of Defense Intelligence Michael Vickers, commented on an emerging relationship between the U.S. and the Houthis, saying, “The Houthis are anti al-Qaeda, and we’ve been able to continue some of our counterterrorism operations against al-Qaeda in the past months.” In a piece for Al Monitor, Barbara Slavin points out an interesting question presented to Vickers about his comments on a U.S.-Houthi relationship, she writes, “Asked after the public event whether that included lines of intelligence to the Houthis, Vickers said, ‘That’s a safe assumption’.” These comments from a senior U.S. intelligence official may be an indication that point that the U.S. is keeping the door open to establishing relations with the Houthi political leadership. It’s unclear what the Houthis’ endgame is in Yemen, but there is always an inherent danger getting into bed with a militant group whose slogan includes, “God is great; death to American; death to Israel.” The irony is that the Houthis and the U.S. are both fighting the same enemy in Yemen, namely AQAP. The Houthi giving at least tacit approval for the U.S. to continue its counterterrorism operations in Yemen is not unrealistic; such a relationship would also demonstrate a willingness from the U.S. to allow the Houthi to continue its own campaign against AQAP, as well as other Salafi groups operating in Yemen. Partnering with regional Shiite groups to combat Sunni extremist is a sobering trend and appears to be the modus operandi for U.S. policy in the Middle East. The chaos engulfing Yemen is a rebuke of a model for Middle East democracy that the Obama administration so gallantly touted as an Arab Spring success story. “The administration policy can be characterized as general lethargy and disengagement punctuated by periodic outbursts of carefully targeted violence,” writes Max Boot in Commentary Magazine. It’s a harsh assessment, but it reflects the reality of an administration struggling to cope with the rampant outbreak of sectarian conflict across a region in which it’s desperately trying to detach itself. The power vacuum building from the collapse of the central government is causing widespread fear among the local and international community that Yemen will soon be plunged into a bloody civil war. The U.S. led coalition, comprised of regional and international partners, have been engaged in a war against Islamic extremist in Iraq and Syria, the outbreak of yet another Middle East conflict will exacerbate the extremist threat. The situation on the group in Yemen is wide open for exploitation, and there is a very real fear that the conflict in Iraq and Syria against the Islamic State could metastasize to the Arabia Peninsula, which would represent a new and unwelcome source of consternation for the U.S. and its allies – chief among them Saudi Arabia. The Kingdom is currently undergoing a royal succession, which, historically, is always a particularly sensitive time for the Saudi monarchy, especially in terms of security. The Saudis have a long and tumultuous history of meddling in Yemen’s internal politics. During the 1960s, the Kingdom’s southern border with Yemen was a battleground for regional influence between Egypt and Saudi Arabia. The growing popularity of Egypt’s Gamal Abdel Nasser and his pan-Arab nationalist revolution was a direct and existential threat to an antiquated Saudi monarchy desperate to hold onto power. Yemen was caught in the middle of an ideological fight between two regional powers vying for dominance, the result led to decades of political instability. Each nation poured money and resources into Yemen; Egypt hoping to grab a piece of the Arabian Peninsula and depose the Saudi monarchy, while Saudi Arabia was trying to stave off a nationalist uprising along its southern border. The social and political upheaval of the 1960s, are not unlike the dramatic events of the Arab Spring that have swept across the Middle East, deposing old world regimes and transforming the geopolitical dynamic of the region. Fast forward to the present and the same script is playing out, only with different actors. The threat facing the Kingdom now eminates from its main religious rival in the region, Iran. The fight between Saudi Arabia and other Sunni states has morphed into fierce proxy war throughout the region, and, now, Yemen is its newest front. The Houthi, in many ways, have stolen a page from Hezbollah’s playback. There clear similarities between the Houthi and Hezbollah. Both groups enjoy financial and material support from Iran, and have received training from the Revolutionary Guard’s Quds Force, a clandestine special operations unit that is also active in Iraq and Syria. The Houthi, like Hezbollah, utilize its military branch to advance and support its political ambitions – enforcing its will and suppressing anyone that attempts to challenge their authority. It’s unclear whether Iran is responsible for the Houthi rise in Yemen, but at this point it doesn’t really matter because in the Middle East perception is reality. The rise of Houthi dominance in Yemen means the sphere of Iranian influence continues to grow; Sunnis will take notice and work feverishly to counter it. While the connection between Iran and the Houthis remains ambiguous, the animosity between the Saudis and Houthi is real. For years, the Saudis worked diligently to destroy the Houthi movement in Yemen. Over this time Saudi Arabia has conducted numerous airstrikes against Houthi rebels in the northern provinces, as well as participate in air and ground operations during Operation Scorched Earth in 2009; a Yemeni military offensive, which eventually spilled over into Saudi Arabia, prompting their incursion into Yemen. The Saudi’s have pumped billions of dollars into Yemen since 2012. The collapse of the Hadi government leaves no central authority through which financial assistance can be directed. “The Yemeni state has always been weak, but now there’s a real danger of economic meltdown, and of the kind of fragmentation that could ultimately make Yemen almost ungovernable,” said April Alley, an analyst with International Crisis Group. If Saudi Arabia and other Gulf States, who also give generously, close the financial pile line flowing into Yemen, it will have a catastrophic effect on Yemen’s already anemic economy. The dissolution of the Hadi government and Houthi coup d’état has left the country teetering on a very steep and precarious precipice. This troubling turn of events, however, is business as usual for a country that has grown accustomed to perpetual instability and political upheaval.